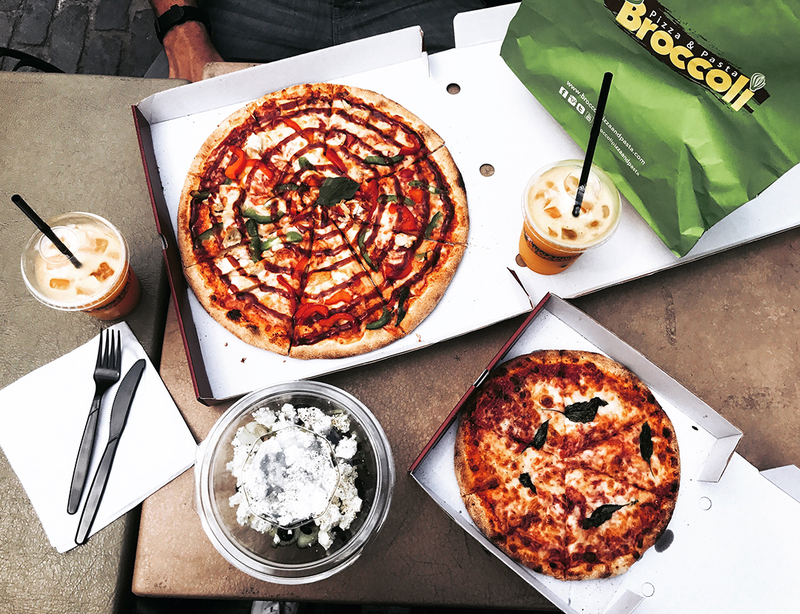 Can't recommend enough the "original pizza" that the guys from Broccoli Pizza & Pasta offer. It's a vegetarian one (I am not vegetarian), but it's so so fresh and delicious, the cheese literally melts in your mouth. 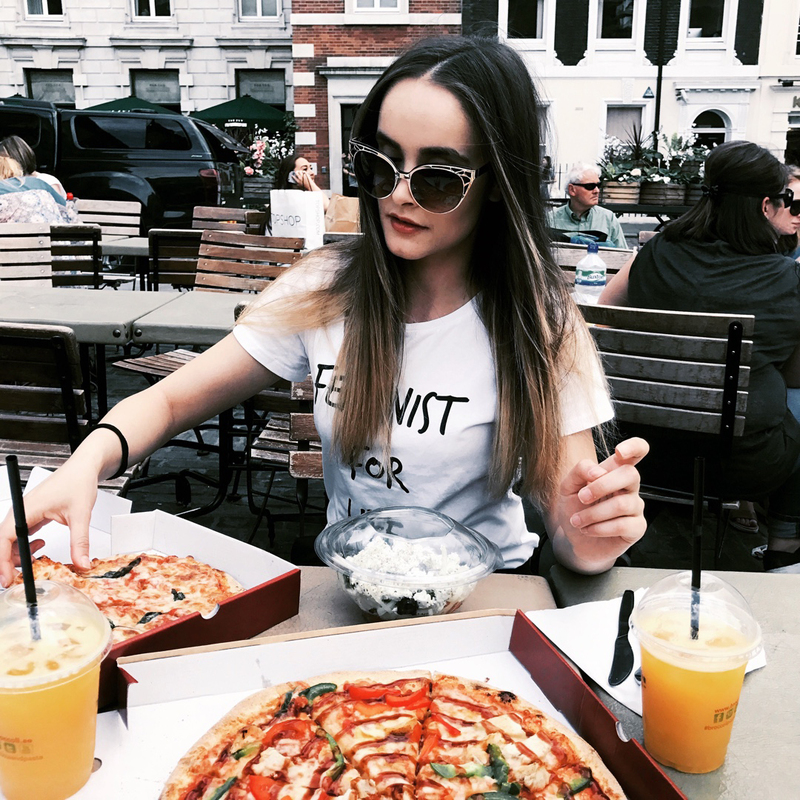 Tip: if you're on a diet (yes, hello, it's summer!) and don't feel like having a heavy meal, go for their Greek salad. You'll love it! 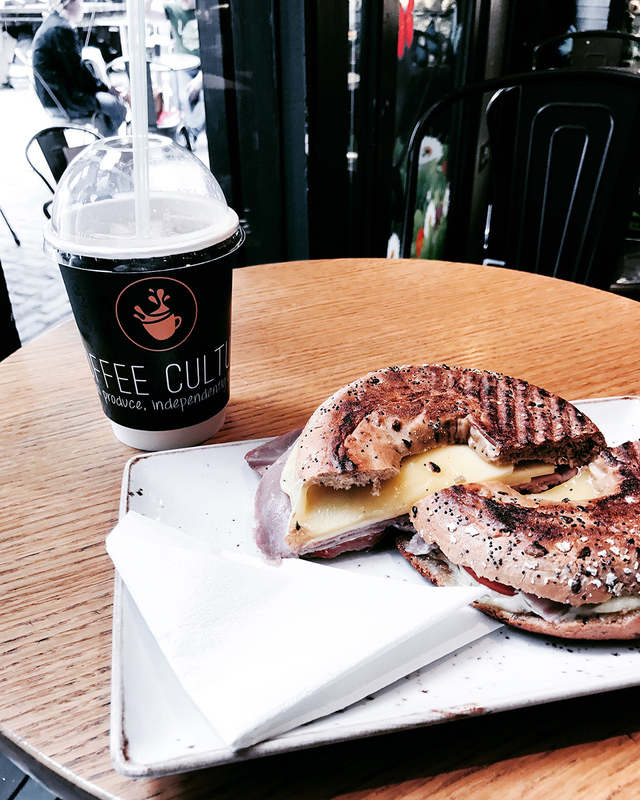 I mentioned a few days ago on my Instagram, that one of the best coffee shops I have visited in England, to me, is Coffee Culture. Not only because the atmosphere is great, as it's not a massive chain such as Starbucks or Nero, but the menu is amazing and the staff is so friendly! To be honest, this coffee shop doesn't really fall into category "cheap", BUT try their bagels and come back to thank me after! Tip: try the soup of the day! Okay, yes, I saved the best for last. Literally, in the heart of London, just minutes from Oxford Street, (Jesus, I sound like an advert on the radio lol and that's not even a sponsored post), is hidden my top favourite dessert spot in the U.K. I only found it yesterday while looking for a cosy place to sit and catch up properly with my best friend as everywhere was so damn crowded, and boom... we found ourselves in Kula. Don't get me wrong, this cafe shop was fully packed as well but what made us stay and patiently wait for a table were the massive waffles and mouth-watering sundaes all the people were having on every single table. 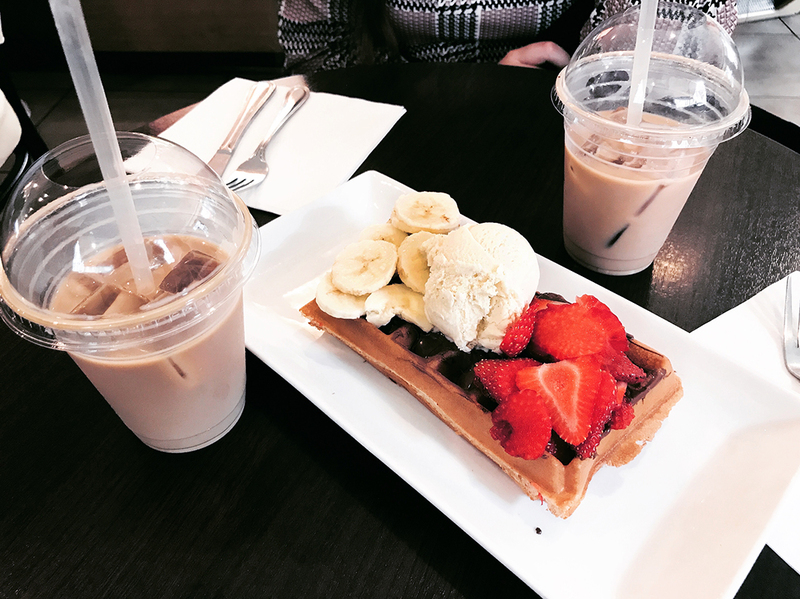 We decided to be healthy and share a £6 worth of classic Nutella banana and strawberry waffle, but I could happily (and easily) of had a couple myself! It was so damn tasty! Tip: Add to your waffle a hazelnut iced coffee. It’s scandelicious! New Post: Mr. & Mrs.